Biemiller Opera House, ca. 1880-1900. At the end of the block, on the SW corner of Water Street & Jackson Sts. was the Biemiller Opera House. The building which would in time become known as the Sandusky Opera House or Sandusky Theatre was built in 1877 by Andrew Biemiller. Despite its designated name as an “Opera House,” the entertainment line-up was varied, including minstrel, musical, vaudeville, and plays. However, the playbill did include opera. The first opera to play at Biemiller’s Opera House was Wagner’s “Lohengrin.” With its large German population, Sandusky was a great market for Wagner operas. The building was impressive. It could accommodate 1,500 people and featured cushioned seats. The stage was 66 feet wide and 33 feet deep. Acoustics were excellent. Sandusky Register, December 15, 1888 – NOT ON THE BILL – A WILD SCENE AT THE OPERA HOUSE – Those who were in the audience last evening to see the performance of “On the Trail, or Daniel Boone, the Pioneer,” were treated to an act that was not down on the bills. There was a large audience present, the gallery being filled to the walls, and a fair house down stairs. People in front during the progress of the first act heard loud talk and some swearing in the wings, while those on the state seemed ill at ease and several hitches occurred. The act ends with a climax of the Indians burning Boone’s cabin, but about ten minutes before, the curtain rap was heard and it came down suddenly, cutting the speech of “Mike” and his sweetheart, who had the stage. There was considerable confusion back of the curtain immediately after, which was drowned, however, by the orchestra. Five minutes thereafter the audience was startled by four shots fired in quick succession on the right side of the stage. The shots, followed by the horses stampeding, and then shriek after shriek from a woman and the cry of a child, “They have killed my mama,” thoroughly alarmed the audience and a wild scene of confusion followed. All were on their feet in a moment. Men were falling over each other in their hurry to get out of the house. Some of the cooler headed ones called on the audience to sit down, this with the orchestra continuing playing finally quieted the excitement for a moment when Manager Rutter appeared in front and told the people to leave the house and their money would be returned at the box office. On the stage quite another and more exciting scene was being enacted. The stage was clear, a portion of the actors and stage hands being in the dressing room and others in the audience. There was one man on the stage, however, and he was an Indian. One hand held a tomahawk and the other an ugly looking gun. He was gesticulating wildly and was uttering threats about killing some one. Finally two more Indians appeared on the scene, and they too were threatening some one and both armed with revolvers. A squaw next put in her appearance, and after speaking in her native tongue to the Indians, they proceeded to their dressing room up stairs on the left hand side. After the red men had disappeared, the actors one by one came from their different places of safety and then it was learned that the trouble was between the Indians led by Charles Williams and stage manager John Ungerer, who takes the part of the Indian chief of the play and one who is looked upon as their leader in the play, he directing their movements. From a member of the company the scribe learned that one of the shots fired had taken effect on Mrs. Ungerer, but how badly she was hurt could not be ascertained. She was found in her dressing room on the floor, surrounded by a few members of the company. Her clothing was covered with blood and on the left side of her dress, near the heart, was burned as if by a bullet. She was in a pitiable plight and going from one spasm into another. A physician was sent for and doctors Metz and Chas. Graefe responded. A hasty examination showed that a piece of the shell of a blank cartridge had penetrated her clothing to the skin, only leaving a mark. The woman was carried to the Sloane House and taken to her room, where everything was done to relieve her sufferings. After this transpired the scene shifted back to the Opera House stage, where Marshal Bowen, Capt. Langenberger and the policemen were waiting for the appearance of the ring leader of the Indians. He came down from his dressing room and was seized at once. He showed fight for a moment but was overpowered and taken to the police station and locked in a cell. The other Indians, two in number, were subsequently arrested at the Sloane House and also locked up. They are charged with assault with intent to kill by stage manager Ungerer. The trouble began early in the evening by the three Indians putting in their appearance on the stage in a more or less intoxicated condition. They grew ugly and unruly and trouble was anticipated by all the members of the company. Williams was in a particularly ugly mood and threatened the stage manager before the curtain went up on the first act. The police were called in but Williams was quieted and the play proceeded. Not long, however, before the drunken and aroused red man again appeared in the wings with a tomahawk and a gun in his hands. He made threatening motions toward the stage manager and he fearing trouble and the scene spoiled, gave orders to ring down the curtain and hurriedly left the stage, knowing that he was intoxicated and liable to kill. He soon returned to take his wife and child out of the theatre and his appearance was a signal for trouble. Williams sprang at him with his weapons and knocked Ungerer down, striking him on the hand with the tomahawk. At this time Mrs. Ungerer came upon the scene to her husband’s rescue and diverted the attention of the now thoroughly enraged Indian to herself while her husband fired two shots. The Indian returned the shots, and with the effect as above stated, a piece of the shell entering Mrs. Ungerer’s clothing. In the meantime Mr. Ungerer was gotten away, his wife carried to her dressing room and the Indians were left in sole possession of the stage, threatening to kill Ungerer on sight. The Indians have been jealous of Ungerer for some time and his ringing the curtain down on them just as they were about to go on, precipitated the affair. The Indians registered as Charles Williams, the cause of the disturbance, and John and James Deer, brothers. They have been with the show since it first started out and Manager Crete Pulver says that this is the first time that the Indians have been drunk. Mrs. Ungerer will no doubt be confined to her bed for some days. She is not injured, but is suffering from nervous prostration. Manager Pulver deplores the finale of his first appearance here. The whole fault lies with the Sandusky saloon keeper who furnished the Indians with whisky. The prisoners will be arraigned this morning and it is doubtful about the company getting away today. Williams is known here. He was here about two years ago with a medicine man who was showing in a tent near the fair ground. Williams was arrested twice while here at that time and made the officers considerable trouble. It is the greatest wonder that one or more were not killed during the melee. Williams acted like a raving maniac. He fired shot after shot at those in sight, also venting his spite on Mr. Ungerer’s little girl by knocking her down. Two guns are on the stage broken off at the stock which were in his hands. The base drum also suffered, Williams having knocked a hole through one side with his fist. The Deer brothers although not taking active part, did much to urge on Williams. Hundreds in the audience remained in the house until the gas was turned off, when they went down stairs, where they were augmented by hundreds of excited people who had been told that several had been killed and the stage was covered with gore. Take it altogether it was an exciting time and the humorous side of the affair would make rich reading. At one o’clock this morning Mrs. Ungerer was resting easy. In 1895, the building was purchased by Carl Nielsen. Nielsen remodeled and upgraded the building and changed its name to reflect the change in ownership: the Nielsen Opera House. Nielsen had many other business interests, including part ownership of Cedar Point, director of Third National Bank, president of the Bonded Warehouse Company, director of the Wagner Lake Ice and Coal Company, and president of the Diamond Wine Company. For a short time, starting in 1890, it also served as a hotel as well as well a German athletic club. 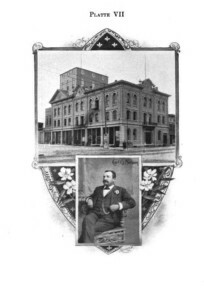 The building changed hands again seven year later, in 1902, by John A. Himmelein, who also undertook a remodeling program for the building and renamed it the Grand Opera House. According to the Sandusky Library history blog, the first attraction after the remodeling was the play “York State Folks,” which opened on September 7, 1905. With its location on the rail line that connected New York and Chicago, Sandusky was able to take advantage of touring shows. 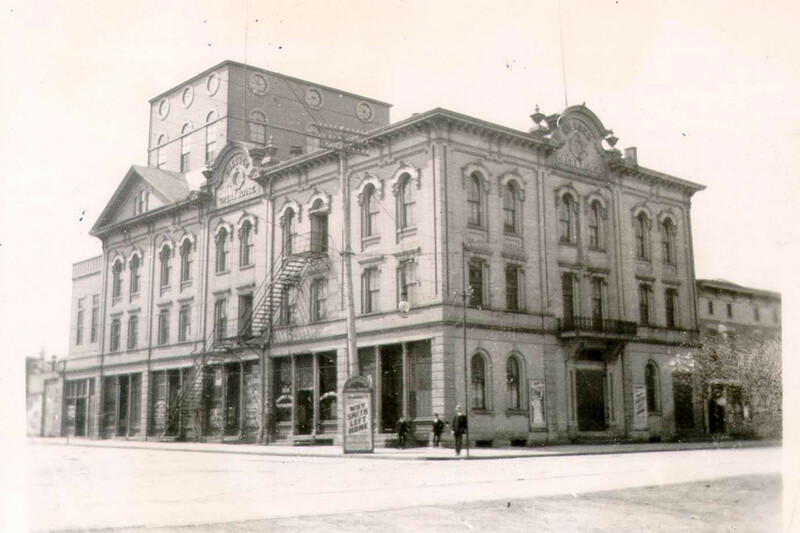 Entertainment venues like the Biemiller Opera House were able to feature many top events and performers. Because of the large stage and Sandusky’s location between New York and Chicago, it became a famous stopover for one night shows. Famous actors and actresses who performed there included Raymond Hitchcock, Ethel Barrymore, John and Lionel Barrymore and Maude Adams. The name of the building was changed again, in 1908, to the Sandusky Theatre, when it was leased to O.S. Hathaway. The Seitz Amusement Company leased the building in 1936 to show movies, a still new but fast-growing entertainment medium in the 1930s (despite the nation’s economic problems). The company purchased the building in 1950 but sold it only four years later. The building was razed in June 1955. 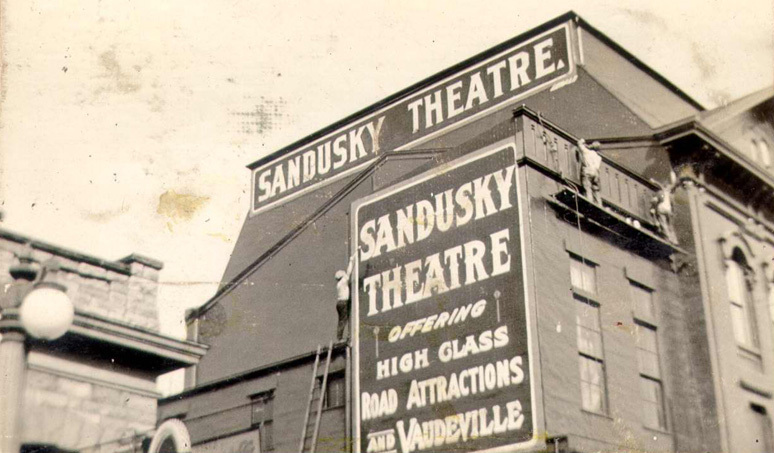 The Sandusky Theatre operated for 78 years, a great run. For decades, long before the advent of television and social media, it was the place where generations of Sanduskians gathered for entertainment. Although these buildings like the Ohio Theatre and Biemiller’s Opera House are gone, the whispers and the laughter and the applause can still sometimes be heard.